In a kitchen, the chef must be able to count on impeccable hygiene and equipment of the highest quality. 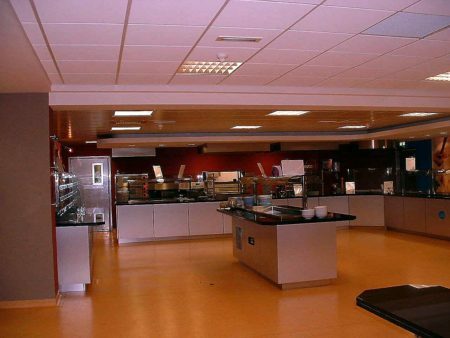 Whether it is a restaurant kitchen, a traditional caterer, an industrial caterer or the food industry, the hygiene rules require the use of stainless steel rather than steel. Heinen has therefore designed its range of doors to offer customers the option of a stainless steel finish while complying with the fire-resistance standards (SS304 or SS316). 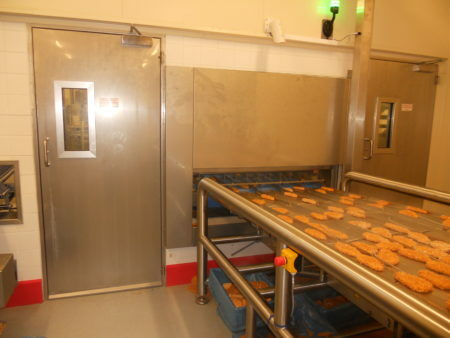 Because naturally, in a place where people work with ovens and sources of heat which could potentially cause a fire, the doors are part of the fire-resistant compartmentalisation system. 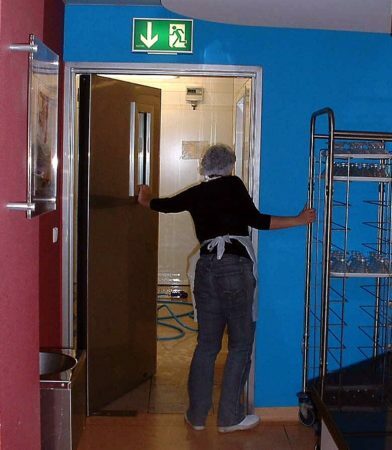 The hung and swing doors, whether fire resistant or not, can be installed without locks. This is an advantage for maintenance and cleaning, but also and above all for ease of use (because they are easy to open by pulling or pushing). 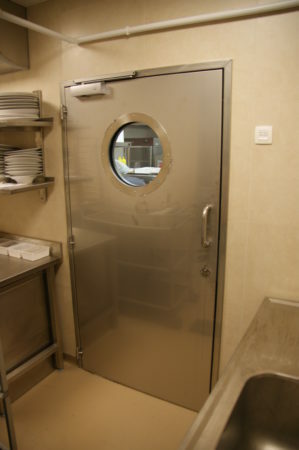 In kitchens, some doors may be improperly used dozens of times a day and subjected to bumps and blows. Safety of use can be increased by inserting a round or square window in the door. When guests are near the kitchen, which tends to be a noisy place, it may be helpful to equip the door with soundproofing.